Your favourite three-wheeler anytime you need one. GrabThoneBane is here to take you there. Getting around the city has gotten a lot easier with the arrival of GrabThoneBane. From today onwards, you’ll enjoy the many benefits from Southeast Asia’s No.1 ride-hailing app. Need a ride? Book your GrabThoneBane now. GrabThoneBane a three-wheeled motor transport option which provides convenience and flexibility with upfront fixed fares. 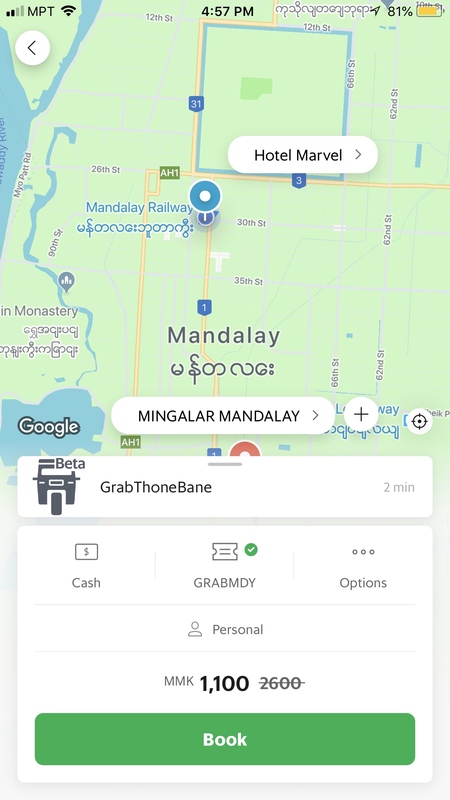 How is the fare for GrabThoneBane charged? 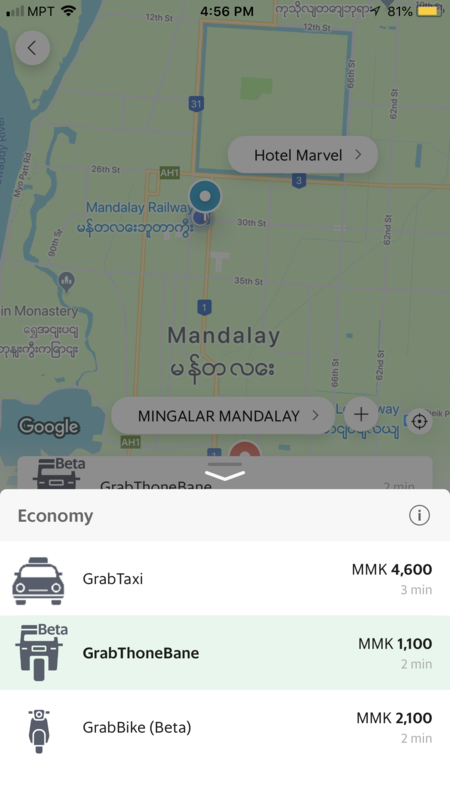 The base fare for GrabThoneBane is MMK 1,000, with the price per km set at MMK 300. Depending on distance and the amount of demand we are experiencing, the fares will change accordingly. Where can I book GrabThoneBane? How many people can ride in GrabThoneBane? 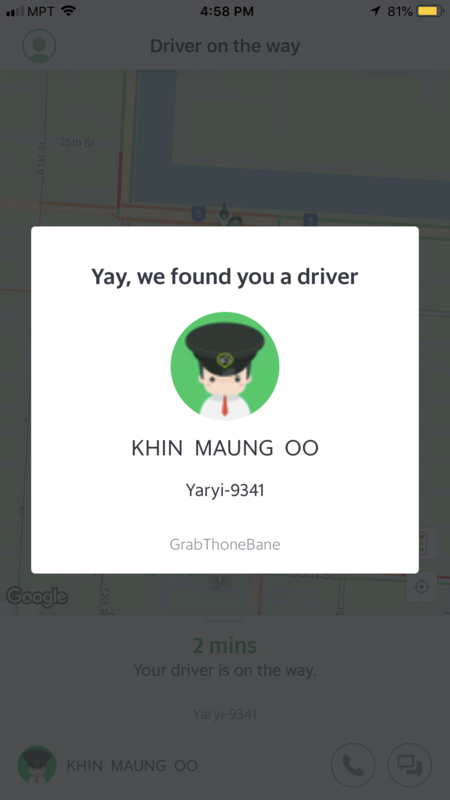 One GrabThoneBane ride allows up to 2 passengers.